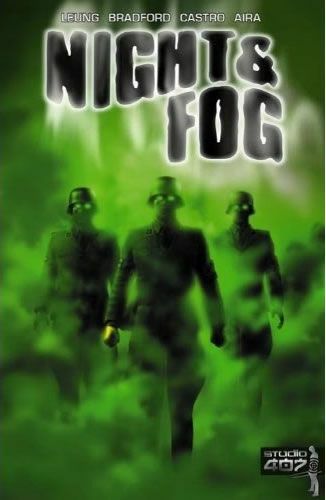 Discovering that there was a comic book not yet being turned into a movie, producers Gil Adler and Shane McCarthy have seized on the sci-fi horror comic Night and Fog from publisher Studio 407. According to Variety, the comic is set during WWII and, “revolves around an infectious mist unleashed on a military base that transforms its victims into preternatural creatures of the night. But when the survivors try to kill them, they adapt and change into something even more horrific and unstoppable.” So it’s like a combination of The Mist and The Thing? I could be down with that. It’s important to refresh one’s nightmares every few years. Adler served as a producer on the comic adaptations Superman Returns and Constantine and he’s also behind the upcoming Brandon Routh film Dead of Night, which is based on the popular Italian horror comic Dylan Dog. Adler and McCarthy are also working on adaptations of the non-fiction book Havana Nocturne and Ken Bruen’s crime thriller Tower.